Focoosin Desktop is required to receive notifications, know if you are active and give quick access to Focoosin Dashoard. Install Focoosin Desktop in each computer that your or your team uses. To get the MacOS version, click here. To get the Windows version, click here. Yes, it's free of charge. 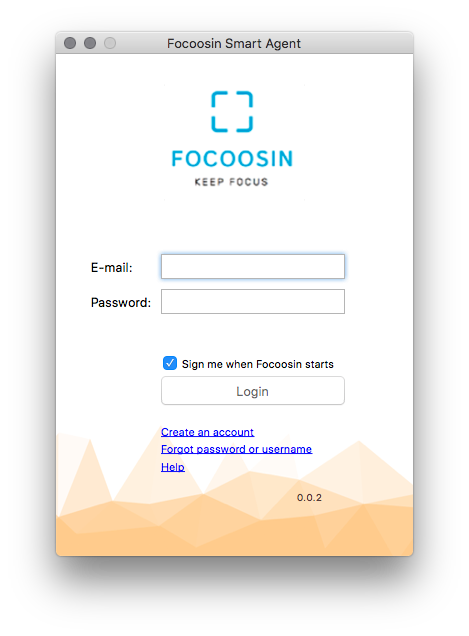 You need a Focoosin Account to login and use it. What platform is it available? It's available for Mac OS and Windows 7 and Windows 10. 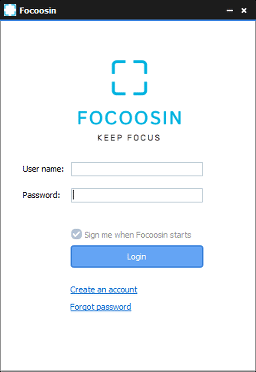 Login directly to Focoosin website without require a password. Allow FocooSir know if you are active or not, so it could take some action base on it. Does it need Internet conection to work? Currently Focoosin Desktop does need an internet connection, but it could work well if connection is lost temporally.